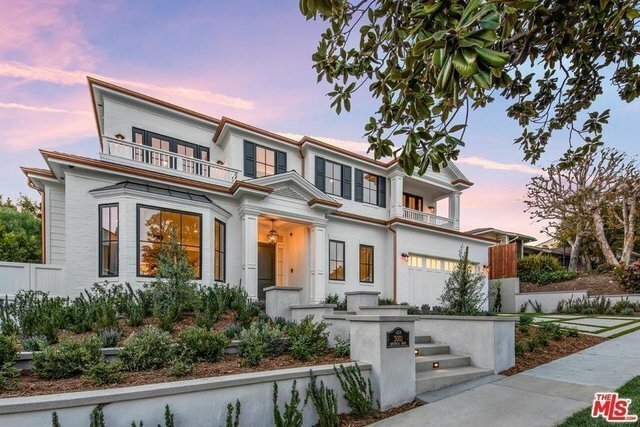 Brand new construction in the coveted Cheviot Hills Country Club Estates. One of the last grand scale estates to be approved before building codes changed, this 7,858 SqFt three-level home has an open floor plan loaded with natural light! Soaring vaulted entryway with six bedroom suites, eight bathrooms, gym, movie theater, lounge, game room, study, formal living/dining, mud room, and two family rooms. The lower level enjoys natural light from a patio & stairs leading to the secluded backyard. A luxurious master suite with an oversized deck, dual walk-in closets, and a spa-like bathroom. The bright, spacious kitchen is equipped with Wolf/Subzero appliances, large island, double dishwashers and nook all connected to the family room, which opens to an expansive backyard with a built-in fire pit/seating, outdoor BBQ, and covered patio to entertain, next to a sprawling lawn. Enjoy this lovingly-crafted home in one of Los Angeles' most premier neighborhoods, moments to the City.